Completely renovating a bathroom is not only inconvenient, but it can also be extremely expensive. After adding up the demo, all the new materials, and the labor involved, an average bathroom remodel costs around $10,000. Don’t worry though! 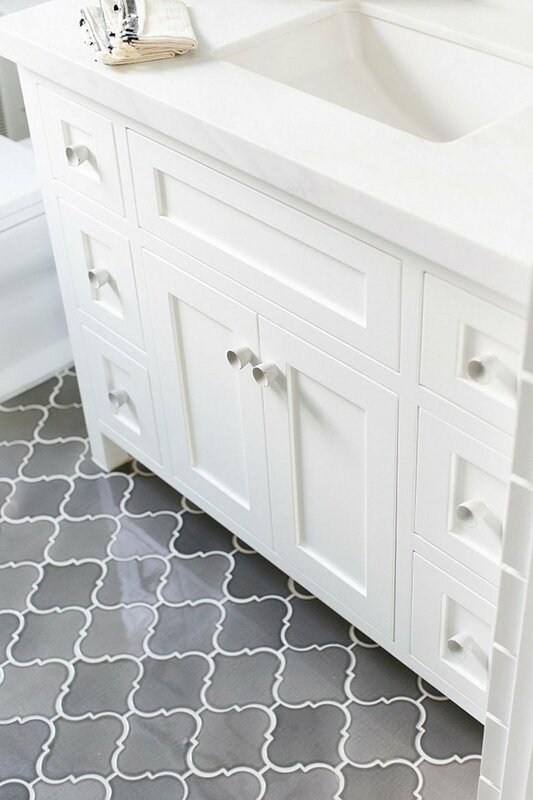 You don’t have to live with that dated bathroom forever. 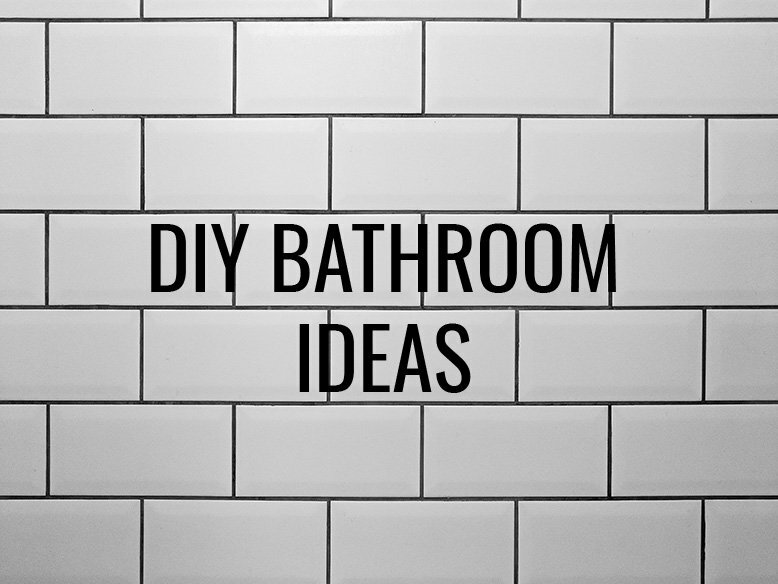 While you may not be able to do serious remodeling yourself, there are some easy DIY bathroom ideas that will make a huge difference in the overall feel of the room. Change the light fixtures. This may involve patching the wall and paint, but it’ll be worth the effort. 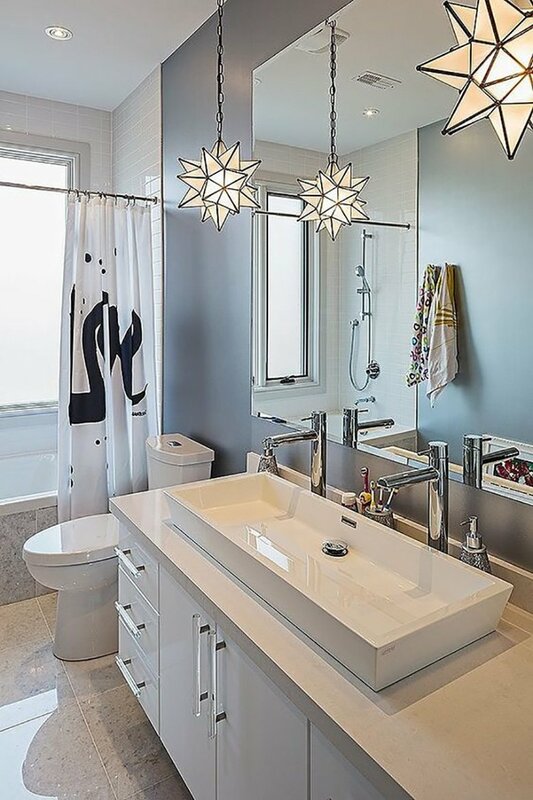 Light fixtures completely change the feel of the room so pick something you love and make it happen! Paint the vanity. Rather than ripping the entire thing out and buying a new one, think about what a difference a couple coats of paint will make. If painting the vanity isn’t an option or your current vanity isn’t worth saving, think creatively about how to replace it. You can always purchase a new one, but it’s possible to repurpose another piece of furniture as well. We bought a used buffet table, drilled a hole for a sink and cut out the back to fit the plumbing. It was not only budget-friendly, it was completely unique! Swap out the hardware to something that makes a statement. 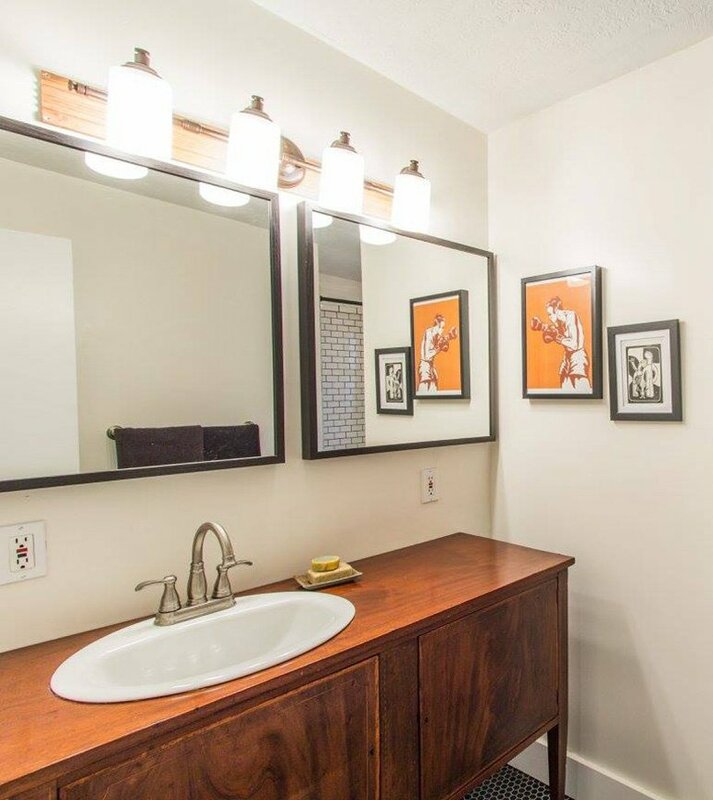 Knobs, handles, towel racks, and toilet paper holders don’t have to be an eyesore. If nothing else, paint your walls a new color. 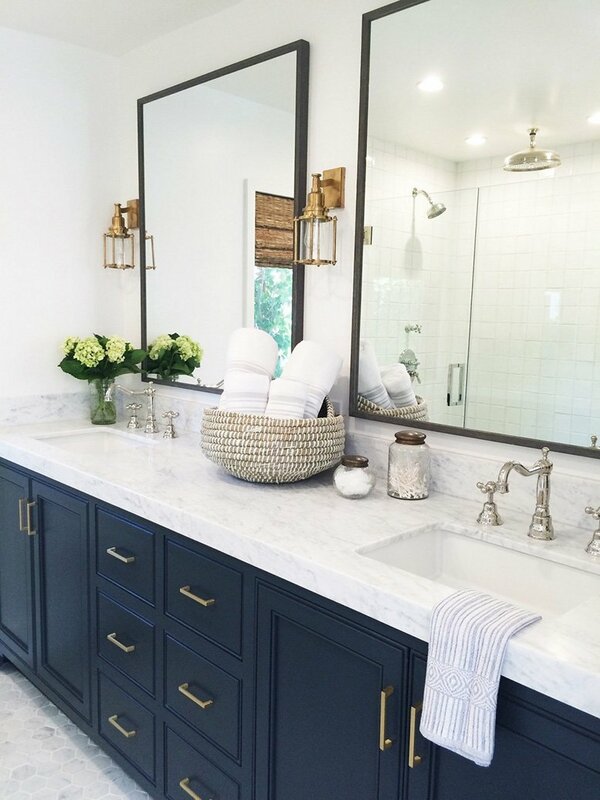 You’ll love how fresh and clean your bathroom feels with a new coat of paint. Have any DIY Bathroom ideas? Share with us!